Find someone who looks at you the way cats look at the PetFusion cat lounger. Normally $50, it very rarely goes on sale, because with 6,000 reviews and an insane 4.8-star rating on Amazon, it probably sells itself. 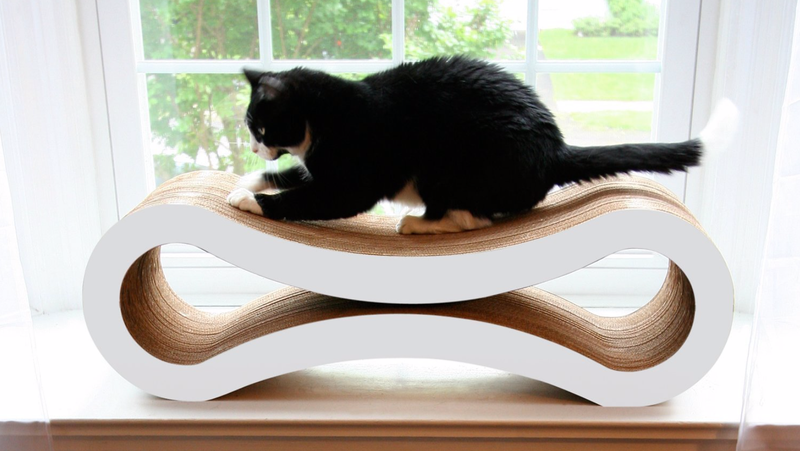 It’s made of recycled cardboard, its curved design makes it easier for cats to scratch, and the grooves of the cardboard are perfect for rubbing in some catnip for hours of (your) entertainment. These deals never last long, so I’d go ahead and pounce on it while you can. The white model is the cheapest at $43 at the time of posting, and the gray is a few cents more if that’s more your taste.